Name: Josh Gehret. My friends call me “Pasta Gigi” though, which is the Indonesian word for “toothpaste”. It’s my favorite Indonesian word. Hometown: I was born in Ohio and raised in Brooklyn, New York. ETA Placement and year: I was placed in Kupang on the island of Timor, East Nusa Tenggara in the grant year of 2014-2015. I taught at SMA Negeri 2 Kupang. Current City: I work in Baltimore, MD, currently as a barista. Life after Fulbright: It’s been very odd, honestly. When I sat down to reflect on my experiences for this article, I initially felt slightly intimidated because I don’t feel like I’ve gone on to save the world in the many small ways that many of my fabulous fellow alumni continue to do. I’ve been working as a barista at a coffee shop, so it’s been a big change from having the responsibility of educating students and planning the next English-related event at my school. I’d be lying if I said I didn’t like the change of pace though. I’ve thoroughly enjoyed being close to family and friends while I work out the next stage in my life. 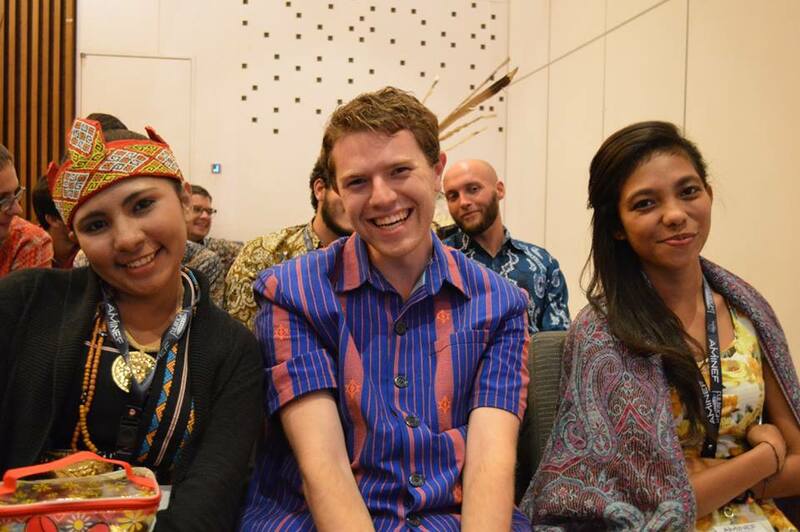 When asked to reflect on “life after Fulbright,” the first thing that came to mind is a story that, to me, perfectly encapsulates how my life has been most affected after returning from Indonesia. The first day after I returned from completing the grant, I did one of the things I missed that I did not do often in Indonesia: playing drums. I hadn’t been practicing long before thinking about one of my students who also played drums, Tio. I recalled an adventure where Tio took me to a music studio in Kupang and I got to play on a set of mismatched drums, talk with some hipster musicians (and the only openly tattooed Indonesians I ever met), and spend some quality time with Tio, one of the most exuberant students I had. Casually recalling a story or person or linguistic tidbit or the seemingly smallest, most random information about Indonesia from routine activities I do in my daily life happens fairly often. Watching the presidential debates inevitably reminds me of Debate Club meetings at school. Getting ice cream at 7-11 and seeing a brand common in Indonesia reminds me of getting ice cream with students after English Club. I think of getting mie ayam with the girls’ basketball team at a warung behind the school when I eat ramen. Every time I hear Red by Taylor Swift, I think of the collage of pictures my students sent me, set to that song, on my birthday. I can hardly do anything without thinking about a student, or a teacher, or an event, or a place in my city, or a kind of food I fell in love with. I see the world in sudahs and belums. I still run on jam karet more than I should.I love explaining the word semangat to people. My life feels so much richer having been connected to Indonesia. In the glamorous coffee business, there are certain drinks that are “marked” with espresso. To mark a drink is to take an otherwise plain cup of steamed milk and dash espresso across the top of it. The espresso falls and is trapped just beneath the foamy surface making the drink have strong initial taste of coffee and leaving a cool Rorschach-esque stain on the otherwise plain milk. In the same way, I have been marked by Indonesia. Living and teaching in Indonesia, though challenging, is one of the most rewarding things I have ever done, and it is something that will remain a highlight of my life. Indonesia has left a very unique mark on me, as it did on all of us. No marked latte looks quite the same—so it is with Indonesia. In some ways, Indonesia is a simple surface-level mark—a place I have pictures from, a fun story or two to tell over a drink, and the ability to interpret the menu at the Malaysian place. But, just as the espresso lies just beneath the milk to give you a powerful kick of caffeine, so Indonesia has also marked me. Indonesia is constantly just below the surface.I get powerful reminders of a student’s laugh when she got a joke in English, or how a teacher made me more compassionate when she explained the plight of minorities in Indonesia, or the ever-present knowledge that I can cross barriers and can see the world more clearly than I could before crop up constantly. These experiences influence the way I interact with others. Indonesia simmers gently within me, powerful and irresistible, waiting to shade my interactions a richer and deeper color than they were before. How has my “life after Fulbright” been changed? I’ll never hear Red the same way again. I’ll never see a classroom without thinking about my school in Kupang. I’ll always feel a thrill of life when I see someone riding a motorcycle down the road. I’ll have the knowledge that, at my core, I’m not so different than anyone else despite the categorical differences that often divide people. I’ll know that I’m seeing the same sun rise over Baltimore that I used to love watch setting over Kupang’s harbor while eating corn, and talking about education and High School Musical with my teacher. I know the world is small. I have seen firsthand how I am the same as people so different from me. I’ll never play drums the same way again. I am thankful not just to Indonesia as a culture, but to my students I think of so often, and the teachers who took me into their families, and the laundry ladies who insisted I was too thin and fed me at their grandfather’s house on five minutes notice.The people of Indonesia have humbled me in a mighty way and taught me a powerful lesson about the connections we can form across every barrier; that the only thing we need in common with each other is our humanity. And thanks to that, life after Indonesia will never be quite the same. Thanks for sharing your incredible experience Josh. I think each of you ETA’s have made such an impact on your students, and they in turn have given wonderful memories that will last forever.